I know buying a home can be a very unique and stressful experience, but rest assured I’m here to help you with the process. I became a Home Inspector for this very reason. I want to help my clients have an enjoyable experience and not have to worry if the home they are purchasing or living in is a good investment. My background in construction, sales, and service make me the right choice for your home inspection. The experiences and understanding I have of the entire real state process allow me to incorporate that knowledge into your home inspection and will help me guide you through the entire inspection process. The Without a Doubt team is committed to providing the highest quality work by staying current with the newest innovations of our industry, along with the knowledge, training and integrity that comes from experience and knowing how homes should work from the basement to the roof. Prior to my professional career I attended The University of Toledo in Toledo, Ohio where I earned a degree in Resource Management. Since then I have continued my education by earning the qualification of a Licensed Home/Building Inspector in the state of Washington. 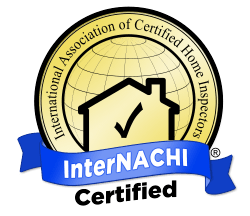 I also became certified by The School of Professional Home Inspections and The International Association of Home Inspectors. When I’m not inspecting or selling houses, I love to take advantage of the great outdoors, especially here in the beautiful Pacific Northwest. I enjoy hunting and fishing, and I am an avid college football fan. I personally guarantee that our home inspections will be money well spent. You will receive a reliable and well-documented information backed up by photos and comments. In the end, you’ll know without a doubt that you are making a wise investment. Contact me today to schedule an inspection.